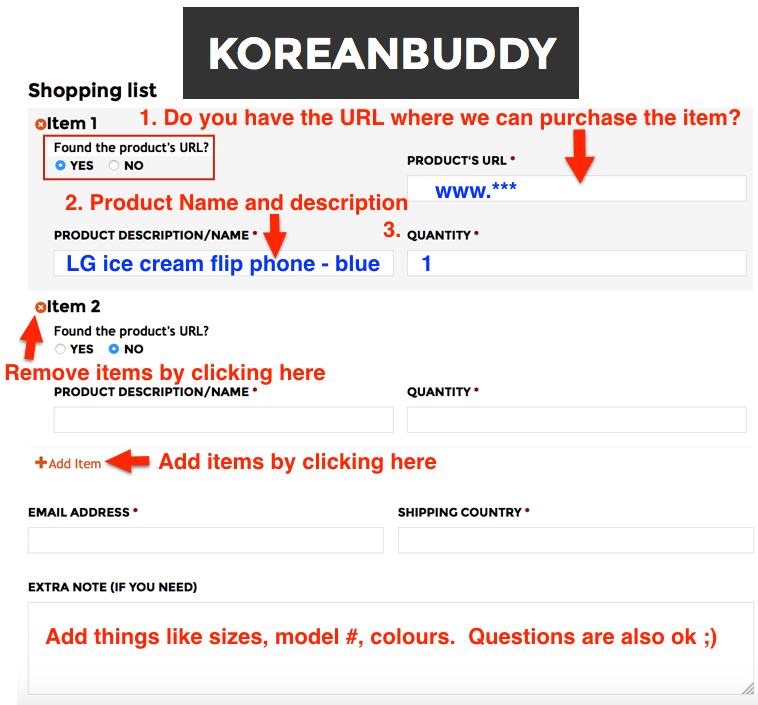 In this guide I am going to show you exactly how to find specific items, decide on product options and the get the required information to order off of Memebox Korea (미미박스) using KoreanBuddy. Try this link to the brands page if you keep getting redirected to the US site. Korean Memebox Link. 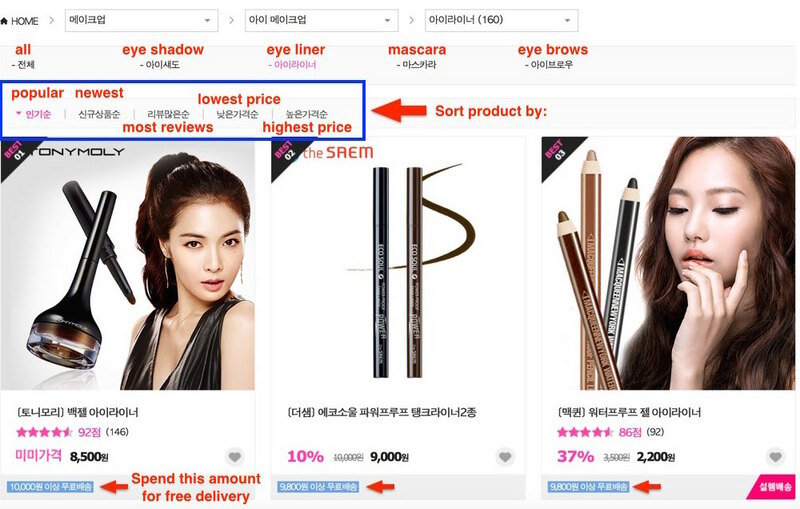 Memebox, pronounced mi-mi-box, is an online cosmetics shopping mall that sells selected products from many Korean and some international cosmetics brands all at discounted prices. These prices are MUCH MUCH cheaper than the US version of the site. Sometimes more than 50% cheaper!! I will go through the process of finding some eyeliner and an oil based cleanser. I will translate all categories at the bottom of this guide. For more translation help check out the cosmetics glossary. Tip#1 – You won’t find every product your looking for here, but the prices are very good. Only the brand’s site itself will have better sales than Memebox, and only sometimes. Tip#2 – Have fun browsing the site and ask me a questions through the chat anytime! Main menu explanation: ‘한정특가’ are limited time specials, these last 24 hours, and change daily. ‘베스트’ best are the top selling products on the site. ‘아임미미’ I’m Meme is Memebox’s own makeup brand. NEW is self explanatory. 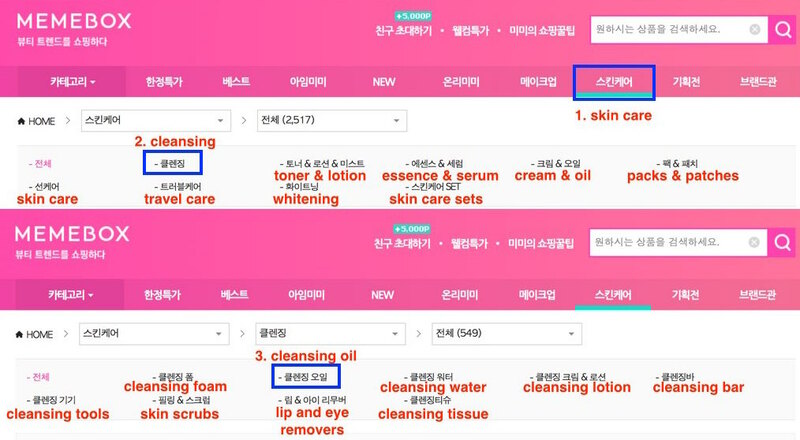 Lastly ‘온리미미’ are products, mostly sets of products only available on Memebox Korea. This is a great place to buy gifts! To order the product through KoreanBuddy 1. the Copy URL and paste it into the order form on KoreanBuddy 2. Do the same with the product description. 3. Enter the product options like size and color and finally 4. the quantity. I scrolled down a ways and found a Korean brand named ‘과일나라’ Fruit Country. 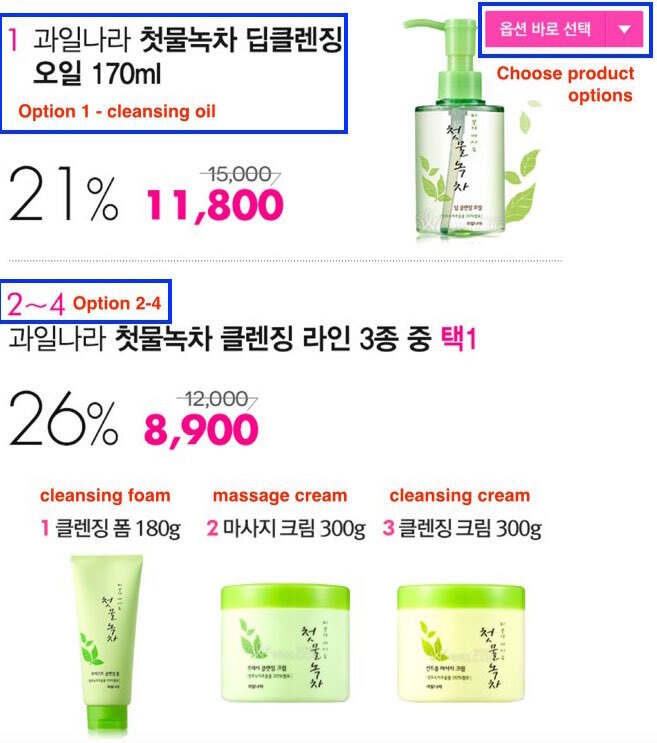 The oil cleanser is called ‘First Crop Green Tea Oil’ and got four 5 star reviews, and delivery is free too. You’ll see there are 4 product options, in order they are: cleansing oil, cleansing foam, massage cream and cleansing cream. To know this you would have to scroll down and see the product options and look at the pictures. Again the cosmetics glossary will come in handy here and if you ever have any questions you can message me on the chat and I will get back to you quickly. Category Translations to help you navigate this site. If you ever have questions you can message me on the chat and I will get back to you quickly.